The innovative brand sublimely blends a minimal aesthetic, traditional greek imagery, high quality materials and subtle pop elements. Greece is a lot of things: its long history, its multitude of myths, its handicrafts and traditional way of life; Greece is also the summer sun, sea the and carefree spirit of its islands. Can all of these things fit into a line of clothing? And one that looks both timeless yet contemporary, carefree yet meticulously designed? To judge by the recent collections by Ergon Mykonos, the answer would appear to be a resounding yes. 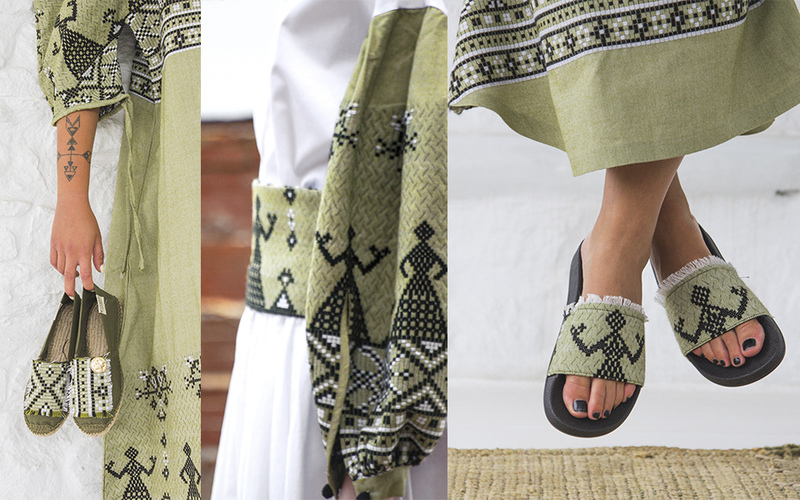 Designed by Marietta Karpathiou, the founder of the brand, the creations of Ergon Mykonos seamlessly blend classical imagery, contemporary design and subtle-but-fun pop elements creating looks that are at once classic yet fun and unique. The creations are also more than just a product of clever designs, but also have elements of the country literally woven in to their very fabric. All of the items are handmade using materials that are sourced from artisans around the country. In particular, the high-quality fabrics used are produced by Greek women who still work with traditional looms, thus helping preserve the knowledge and sophisticated techniques that have been handed down over generations. Ergon Mykonos’ products are available at the brand’s concept store in Chora on Mykonos, at exclusive boutiques in Greece and abroad, as well as on the company’s website.